Is ‘The Walking Dead’ Season 9 Setting Up Negan As Alexandria's New Leader? 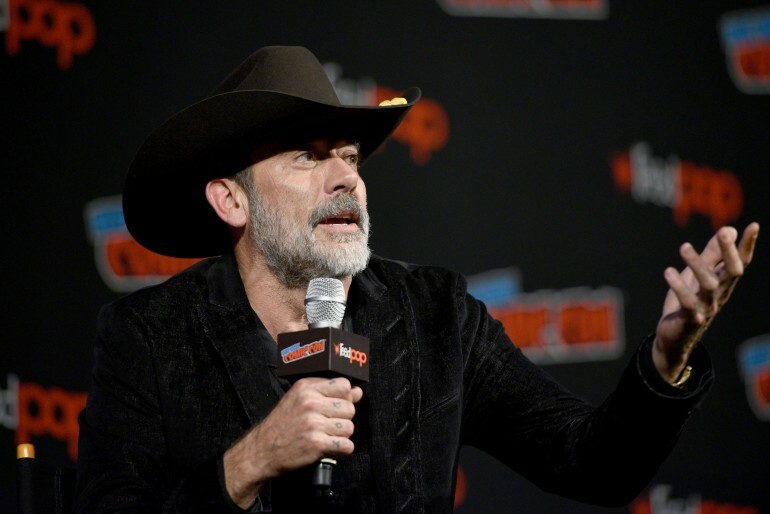 It looks like Negan will finally taste freedom in “The Walking Dead.” In fact, aside from being able to walk among the people that he once terrorized, he might even take back his former position as a leader. Season 9 appears to have been planting the seeds for his bigger role on the show. It is easy to forget how horrible he was to the group when he first graced the small screen. The brutal deaths of Glenn and Abraham remain to be as two of the most harrowing and gruesome moments on the show. However, after two time jumps and eight years in prison, Negan has had a lot of time to reflect. He seems to have legitimately changed, and a lot of people think he deserves redemption. It is heavily speculated that the former Saviors chief will be the new leader of Alexandria. The community will soon be without its leader with Danai Gurira leaving “The Walking Dead” after Season 10. In a previous episode, Negan is seen reading what was confirmed in “Talking Dead” to be a law book. This clearly shows that he knows he is meant to, or at least plans to, take over, and he is already preparing for that day. Judith has grown fond of Negan, and she may easily give her vote for him. She has come to know him over the years and even visits him from time to time. Negan even helped Judith with her homework and has been completely honest with her about everything, including the pain and suffering he inflicted upon her family. The little Grimes seems to have a say on the leadership in the community. This is because she can be mature and wise for her age, but it mostly comes down to the fact that Michonne has a soft spot for her. So this might come into play when the current Alexandria leader inevitably passes the torch. Negan's closeness to the youngster might score him an opportunity to at least be in the running. Warning: Spoilers for “The Walking Dead” comic book ahead! However, the people of Alexandria will surely need proof for his redemption. They need to be sure that the psychopathic guy who killed their friends won't go back to bashing people's heads in. So, at some point, Negan will need to prove himself. In the comics, he won Rick over by bringing Alpha's head to him. Readers expect that he will do something similar on the TV show. Viewers also imagine that the character to succeed Rick and Michonne should be a major character too, and Negan seems to be the only one who fits the bill at the moment. In addition, the idea of Daryl and Negan leading Hilltop and Alexandria, respectively, admittedly sounds cool. Morgan says he isn't going anytime soon. The actor said he is in it for the long haul. A character like Negan won't stay in prison forever, so the only way to go for him now is up — in his case, all the way up. ‘The Walking Dead’ Season 9 Finale: Carol, Negan Vs Alpha?